Bergen Blvd | Delectably Scrumptious. You are currently browsing the tag archive for the ‘Bergen Blvd’ tag. We had some awesome pasta and pizza at this wonderful takeout/restaurant called Franco’s Metro. All the food is made to order, especially the personal brick oven pizzas. We liked Franco’s Metro so much that we had it two weekends in a row. 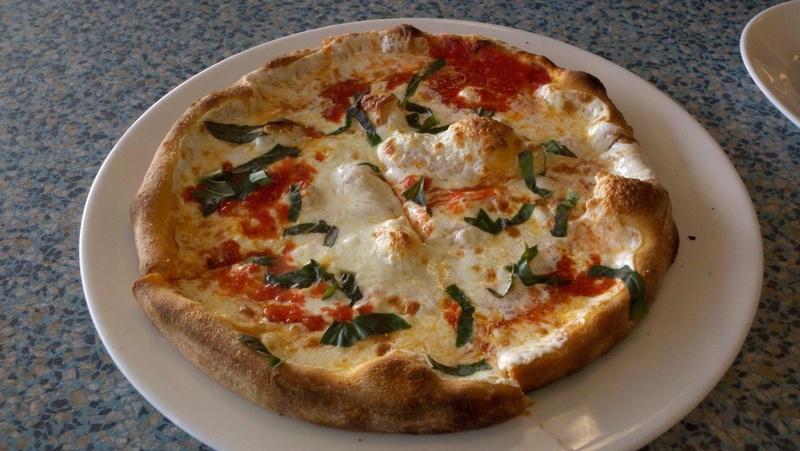 The 1st weekend we ordered the Margherita Pizza with the Spaghetti with Matrigiana sauce. 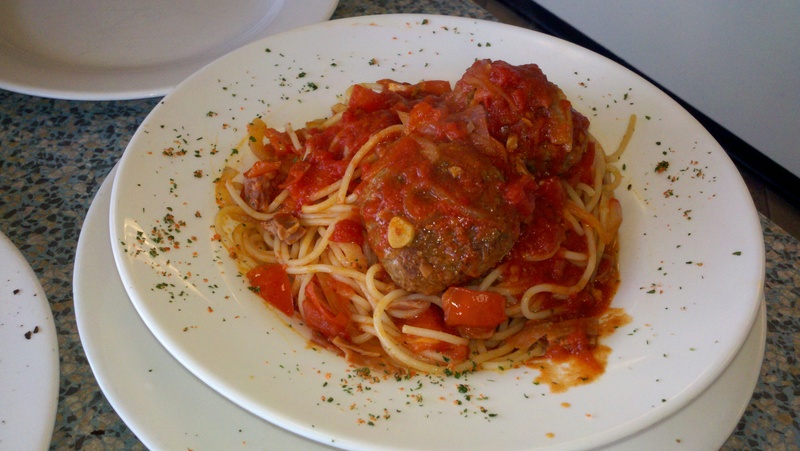 The Matrigiana sauce was a basic tomato based sauce infused with onions. 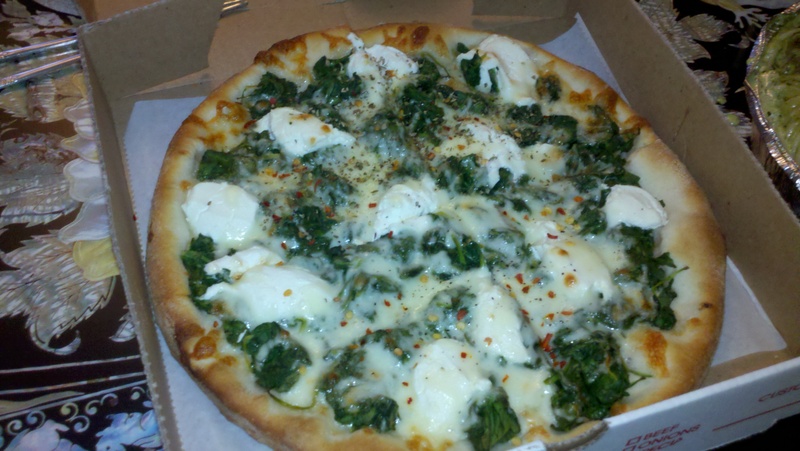 The 2nd weekend we ordered the Spinach Ricotta Pizza with the Pesto Linguine. The pizza was incredibly good the crust bordering on crispy and chewy. 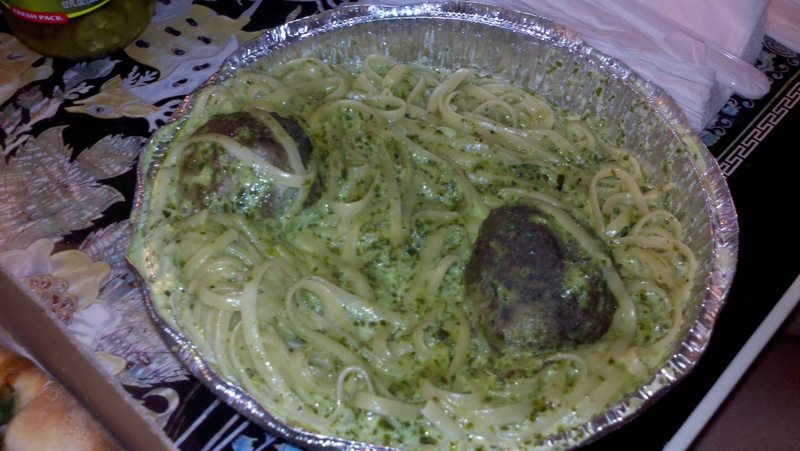 The pasta was also good with the pesto being a little better than the tomato based sauce in my opinion. The meatballs were bready and very soft. This place is highly recommended.